Congress just fumbled an easy hand off. On a largely party-line vote, the Senate failed to pass a bill that would have helped hunters and anglers for decades. This bill has had overwhelming support through each stage of the process, most recently receiving a supportive bi-partisan vote of 92-5 right before the Thanksgiving break. This latest vote against hunters and anglers demonstrates why the American public is sick of the Washington DC antics that waste time and taxpayer dollars. One Senator that voted against the bill before the break, Jeff Sessions(R-AL), somehow convinced his caucus to vote against 90 million sportsmen and women and the $70 billion annual contribution they make to America’s economy. The bill was supported by more than 50 sportsmen’s groups including the NRA, Ducks Unlimited, Theodore Roosevelt Conservation Partnership, and National Wildlife Federation. Senator Sessions opposed the bill on the technicality that it violated budget rules by increasing the cost of the duck stamp, despite the fact that the bill would reduce the deficit. We've talked about the expansive and monumental Sportsman’s Act of 2012 for a while now; it includes provisions that would allow the importation of legally harvested Polar Bears from Canada, the Making Public Lands Public Act (directing a portion of Land and Water Conservation Funding dollars to increasing access), re-authorization of the North American Wetlands Conservation Act, and a modest increase to the price of the Duck Stamp. Here’s the real problem that Senator Jeff Sessions has with the most important Sportsmen’s Legislation of our time: The NRA had made it clear that they would score the final Senate vote and not the procedural vote on the budget point of order. Senator Sessions was endorsed by the NRA in his last election in 2008 with an A+ rating. He has an election coming up in 2014 and knows how important the NRA’s endorsement is in sending him back to Washington. By organizing his caucus around the procedural vote Sen. Sessions avoided a dip in his rating. He claims that its congresses right to tax the American people, and because of the way the bill is written, that authority would be handed over to the Secretary of the Interior, while violating the budget rules that Congress operates under. When you pick yourself up from the floor and stop laughing at the thought of Congress having rules that they abide by, I’ll continue. Right, so we've seen how well Congress plays together. The entire sportsmen community was caught off guard by last night’s vote, and is now regrouping to see what’s next. One thing that is for sure is that Senator Tester will continue to fight. Right after the vote Tester said, “I’m disappointed Republicans and Democrats couldn't work together today to pass this bipartisan bill. Protecting our outdoor economy shouldn't be a partisan issue. This bill will create jobs and strengthen our small businesses, and I will continue pressing to get it through the Senate on behalf of every sportsman and women around the country.” Congress’ duty should only be that of oversight. Not of micro-management. Sessions also bemoans the cost of the bill, saying that the $145 million that the bill would raise in revenue would be needlessly frittered away on stupid things like habitat. The bill in fact pays down the deficit by $5 million: chump change to insiders like Sessions who make billion dollar deals over breakfast, but enough of a political opening to exact revenge on a Senator who just won re-election. Sessions asked in floor remarks Monday. 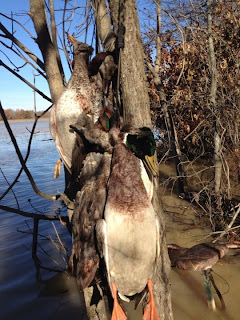 “I don’t think the average duck hunter would be concerned if we slowed down a little bit and sent this bill back to committee and had it paid for so we didn’t violate the budget.” Mr. Sessions Ducks Unlimited, the largest concentration of Duck Hunters in the world supports the bill and asked for this particular provision. The National Rifle Association and the Wilderness Society agreed that the bill was important enough that they put the guns down and worked together to try and pass legislation. Only in Washington DC is that kind of American idealism not rewarded. Call Senator Sessions now, and give him a piece of your mind. You can reach him at (202)224-4124 or email. You can also show your support of the Sportsman’s Act on The Bully Pulpit’s Facebook page by posting a message encouraging Seantor Tester to continue this fight (and make sure you tag him! ), or email his staff.